Surpassing expectations - again! Over 600 delegates and 70 sponsors. Brussels proves a great venue as more than 600 attend the co-located PIC International, CS International and HES International Conferences. Conference Chair, Dr Michael Lebby reflects on the third PIC International Conference. "We have just finished the 3rd annual PIC International Conference, and again like in 2017, it surpassed everybody's expectations, not only from the organiser’s perspective, but from the attendees, and my perspective as chairman of the conference. Attendance was full – yes maximum allotted seats, and at times, folks from CS International and HES International attended the PIC sessions. Our annual PIC awards generated 1000’s of online votes and the winners in 7 categories were announced at the end of Day 1. Like last year, these are PIC industry awards, voted by the PIC industry. This year, there were over 600 delegates attending two days of jam-packed (and at times standing room only) sessions on photonic integrated circuits (PICs) that spanned the whole value chain from wafers, epi-materials, to devices, to modules, to systems, to architecture, and finally to service providers, and in particular fiber optic datacenters. There were also talks that explored PIC based technologies outside of fiber optics, and those areas included bio, medical, sensing, and LIDAR. This year we brought together luminaries of the PIC industry to form 2 panel sessions; one on Day 1 to address high volume, high performance PICs, and another on Day 2 to explore the merits of silicon photonics. The panel sessions generated interesting themes such as: PICs for datacenters is here and now, PICs for telecom growing quickly, PICs for non-communications markets growing very quickly. Furthermore, PICs, and especially hybrid PICs seems to garner the support of the majority of the panelists. Panelists also discussed high (100Gbps) performance, volumes of wafers and chips, as well as process development kits, new technology platforms such as polymers, glass, dielectrics, GaAs in addition to InP and silicon photonics. The conference discussed in detail incumbent PIC technologies such as InP and GaAs, as well as Silicon Photonics (SiP), Polymer Photonics (PP), and Dielectric Photonics (DP). The conference also discussed both datacenter and telecommunications opportunities for PICs with forecasts for new architectures, standards, technologies and cost expectations.The latest results in the PIC field were also presented and showed a significant performance upgrade towards both 50Gbps and 100Gbps to generate transceivers at 400Gbps. Some speakers discussed the virtues of moving performance levels to 800Gbps. Like in 2017, there were a number of exciting sessions, where one session discussed improvements in PIC infrastructure for designing and manufacturing robust and reliable PICs using software tools for modeling, simulation, and production. This was supported by many PIC talks that addressed PDKs and other metrics needed to quickly grow PIC markets. This year new and innovative talks discussed medical, life sciences and bio-photonics and how PICs based technologies can enable new products that are more miniature, low power, and high performance, which is becoming especially important for hand-held battery powered diagnosis and health monitoring products. These speakers showed that the result of designing PICs for the popular verticals of telecommunications and data communications, the solutions could easily be applied to medical, measurement, automotive, and other industrial applications for PICs. Perhaps by next year’s PIC conference we will see the first products emerge in these new market segments. The good news is that some of these opportunities will be high volume and will promote more aggressive pricing strategies especially towards the magic $1/Gbps that is often touted by large data centre customers. As Co-Chairman, every presentation was reviewed beforehand, and clearly showed a number of improvements in the technology over the past 12months. PIC markets are growing strongly to 10s of $B over the next decade, as well as the scalability of PIC technological platforms. The rise of the hybrid PIC as noted by the panelists shows that customers are now more open than ever to find the right PIC solution for their particular portfolio. A focused, well attended, with high technical content conference such as PIC International, surpassed itself again in 2018. PIC International is the conference to attend for the latest and greatest in photonic integrated circuits. 2019 in Brussels Belgium should be even better than 2018." Driven by IoT, Industry 4.0, and social media - the amount of data to be transferred is increasing tremendously, pushing the need for energy-efficient device concepts for a vast variety of products. Low energy data transfer can be achieved by optical interconnects, or by introducing optical elements such as specially designed microlenses into semiconductor laser packaging using High Precision 3D Printing. This allows device makers to significantly reduce process steps independently of the packaging task. Scalability and high throughput with fabrication times from seconds (for optical waveguides and single microlenses) to only a few minutes (for more complex lens systems) are explored as part of the presentation. 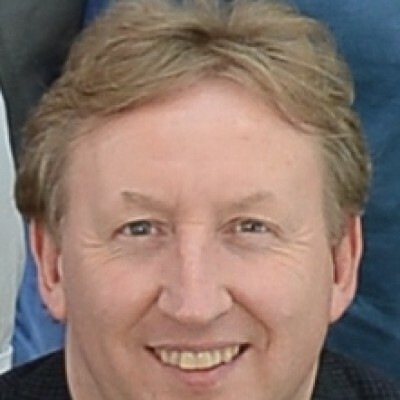 Cofounder of Multiphoton Optics GmbH, founded in September 2013. Current function as CEO from August 2014. From 2013 to July 2014, she was CTO of MPO. 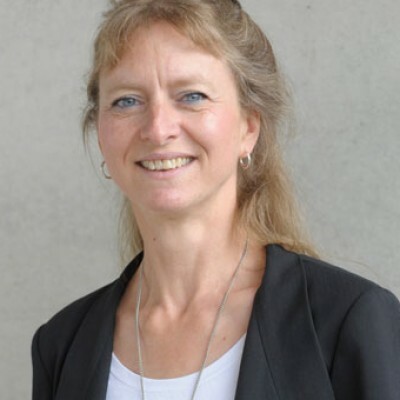 From 2000 to 2012, she held different technical and management positions at Fraunhofer ISC, where she focussed on materials, processes, and technology/equipment development for photonic and biomedical applications. From 1999 to 2000, she worked at Sandia Nat.’l Labs, Livermore, CA (USA). She invented more than 90 patents and has received many awards and nominations, amongst which are the Finalist in the Prism Award 2017 and 2015, the Cowin Award for Entrepreneurship 2014, the Green Photonics Award 2013, the Joseph von Fraunhofer Award 2007. The presentation will discuss ColorChip’s unique, multi- benefit approach to Photonic Integration, through a cross-generation, hybrid multilane platform that has been supporting the pressing demand for bandwidth by mega-datacentres, from 40 through 100G to 400G and beyond. ColorChip has perfected its patented, simplified design and integration technology and transformed it into an automated mass production process that provides high yields and a clear cost advantage. 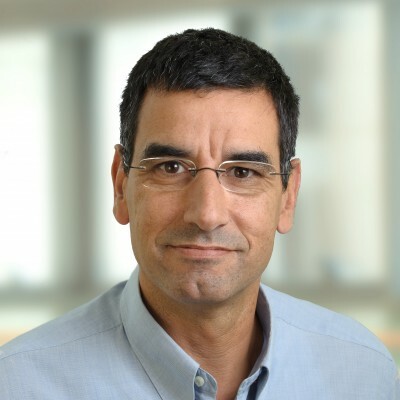 Eli Arad joined the founding team of ColorChip and leads the R&D activity of the company. Mr. Arad has gained over 15 years of industrial experience in developing PLC (Planar Lightwave Circuit) devices and optoelectronic systems. He is an expert in fabrication and processing of active and passive optical waveguided devices using technologies based on Lithium Niobate and ion exchange in glass. Eli holds a MSc in physical electronics from Tel Aviv University. The growth in network bandwidth at Mega Data-Centers is putting pressure on the photonic technologies to rapidly deliver high-bandwidth interconnects at high volume. In this talk, we will describe Facebook’s scale and some of the trends that are fueling this bandwidth growth. This bandwidth growth will fuel innovation not only in technology, but also in manufacturing processes as traditional technologies struggle to meet the volume challenge. This will change the optics development and commercialization process and open the door for Photonic Integrated Circuits as yield management drives improvements in the wafer-level and advanced photonics packaging with scaled manufacturability and automation. 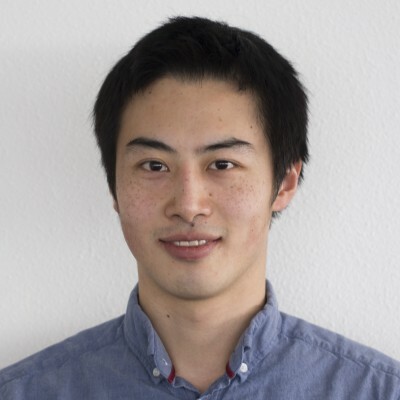 Vincent Zeng is a Manufacturing Quality Engineer responsible for optics at Facebook, where he focuses on the management of optical products from qualification to deployments in Facebook’s Data Centers. Prior to Facebook, Vincent Zeng was the Sr Quality Customer Manager at Brocade for optics and network equipment. He started his optical carrier at JDSU where he produced the first Telcordia Qualified AWG product. Additional to that, he also spent a couple of years at Semiconductor inspection equipment company-KLA Tencor. 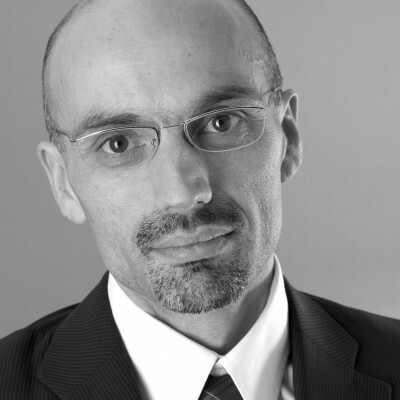 Vincent holds a doctoral degree in optical physics from Nankai University and Post-doctoral from Max-Planck Institute. Modern day data centre interconnects are not limited by distances. Although the data centres themselves are physical locations, limited in land area, the optical interconnects between them could span anywhere from 10’s km of terrestrial distances to 1000’s of km subsea routes. In this talk, we will focus on the application of Silicon photonics to regional, latency limited data centre interconnects. The discussion will be on low power, high speed, switch pluggable modules that allow for the physical disaggregation of the data centre locations, thus enabling highly redundant and distributed data centre architectures. 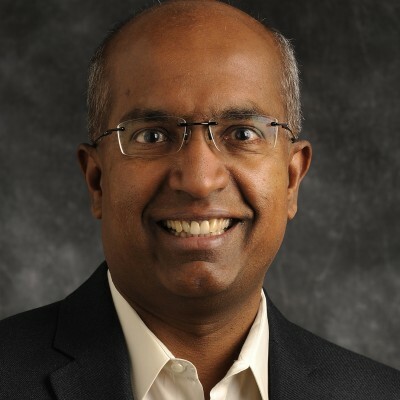 Radha Nagarajan has served as Inphi’s Chief Technology Officer, Optical Interconnect, since June 2013. He brings more than 20 years of experience in the area of high-speed optical interconnects. Prior to joining Inphi, he was with Infinera, as a Fellow, working on the design, development and commercialization of large-scale photonic integrated circuits. From 1995 until 2001, he was with SDL/JDS Uniphase. Dr. Nagarajan is a Fellow of the IEEE, OSA and IET. He has authored four book chapters, and more than 180 technical papers in the areas of high-speed optical components and photonic integration. He has been awarded 114 US patents. In 2006, he shared the IEEE/LEOS Aron Kressel Award for his work on commercializing large-scale photonic integrated circuits. He received his B.Eng. from the National University of Singapore, M.Eng. from the University of Tokyo, and Ph.D. from the University of California, Santa Barbara. With Big Data getting bigger by the second, transporting this level of data with existing technologies will soon reach its limit in terms of power consumption, density, and weight. It is now sure that photons will continue replacing electrons throughout networks, including in the Data Centre, the rack, and very soon on the board. The question is: how to achieve this at low cost? The answer is quite simple: market volume in million units will allow scale factor that will drive the cost down. This is the quite simple equation that Silicon Photonics, fundamentally a semiconductor-based process, must solve. Si photonics has been under development for years, but there are still only a few products on the market. However, now that this technology is being pushed hard by large webcom companies like Google, Amazon, Facebook, or Microsoft, we believe we have reached the tipping point that precedes massive growth. In my talk, I will present market forecast for Si Photonics for Data Centres applications and will review the industrial landscape and technical challenges. 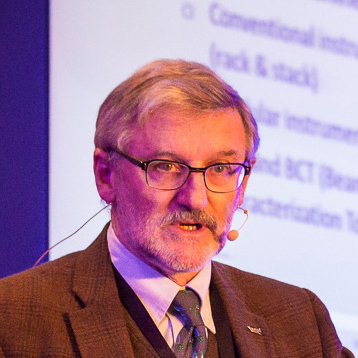 With almost 20 years of experience in MEMS, Sensors and Photonics applications, markets, and technology analyses, Dr. Eric Mounier provides deep industry insight into current and future trends. As a Senior Technology & Market Analyst, he is a daily contributor to the development of MEMS and Photonics activities at Yole Développement (Yole), with a large collection of market and technology reports as well as multiple custom consulting projects: business strategy, identification of investments or acquisition targets, due diligences (buy/sell side), market and technology analysis, cost modelling, technology scouting, etc. Previously, Dr. Mounier held R&D and Marketing positions at CEA Leti (France). He has spoken in numerous international conferences and has authored or co-authored more than 100 papers. 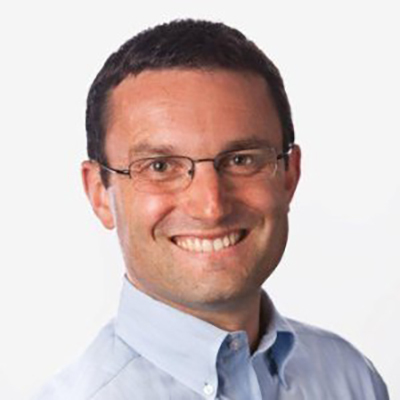 Eric has a Semiconductor Engineering Degree and a Ph.-D in Optoelectronics from the National Polytechnic Institute of Grenoble (France). Cisco with its Visual Networking Index has announced the Zettabyte era, as in 2016 the annual run rate for global IP traffic was 1.2 ZB per year. On the other hand, a single InP 3” wafer with lasers or detectors supports some 30,000 devices @ 50Gbit/sec each, equating to roughly 5 ZB per year, when operated continuously. Hence, the success of a particular integration platform relies on its capability of either being able to deal with rather low wafer numbers, or adding (senseful) functionality to increase the per-device-area, or to radically increase the market by going outside telecom/datacom. The presentation will compare InP monolithic, Silicon Photonics, and polymer based hybrid photonic integration with respect to this regard. The generic foundry approach to photonic integrated circuits (PIC) has enabled easy access to PIC technology by lowering its entry and prototyping costs, leading to the wider adoption of optical chips across many application areas. We focus here on the recent progress and the challenges of high-capacity WDM transmitters on III-V material for data and telecom that have been fabricated in such generic integration platforms. Furthermore, we outline the platform architecture of the next generation PICs that support extended scaling in device footprint and performance and at the same time assure a more intimate integration with electronics. Weiming Yao received his B.Sc. degree in electrical engineering with honours from Technische Universität Berlin, Germany, and two M.Sc. degrees in photonic networks engineering, with honours, from Aston University, Birmingham, UK, and Scuola Superiore Sant’Anna, Pisa, Italy, in 2010 and 2012 respectively. 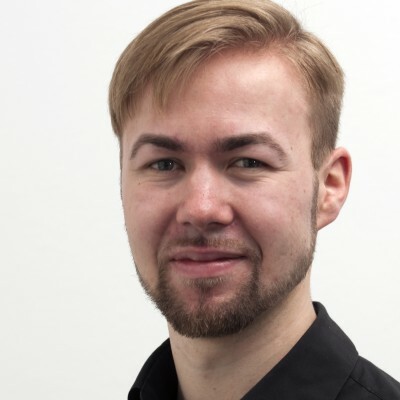 Since then, he is with the Photonic Integration Group at Eindhoven University of Technology (TU/e) where his work focused on the design and characterization of high bandwidth integrated multichannel transmitter PICs. 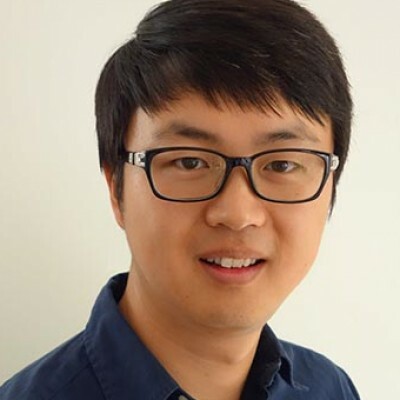 After receiving his Ph.D. in 2017, he is with the newly established Photonic Integration Technology Centre (PITC), where he leads activities on photonic building block and component development. The need for 10-Tb/s interfaces operating in 1-Pb/s systems and networks asks for massive array integration across both wavelength and spatial domains. While being accompanied by a series of new device and packaging challenges, the close integration of massive opto-electronic arrays also bears a wealth of opportunities arising from a holistic view of a fully integrated digital-electronics/analog-optics communications engine. Options include the mitigation of integration-induced array impairments using powerful digital signal processing, and the ample use of comb sources as external optical power supplies. This talk will discuss challenges and solution paths towards a 10-Tb/s optics-in/optics-out digital communications engines. Peter J. Winzer heads the Optical Transmission Research at Bell Labs in NJ, where he has worked on multiple aspects of fiber-optic communication systems, advanced modulation, multiplexing schemes, receiver concepts, and digital signal processing. He contributed to high-speed records from 10 Gb/s to 1 Tb/s, and has been promoting spatial multiplexing to scale optical transport systems. 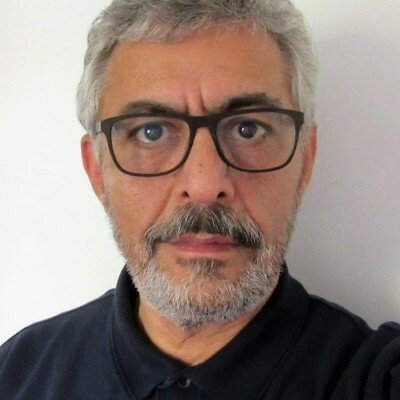 Currently serving as Editor-in-Chief of the Journal of Lightwave Technology, he was Program Chair of ECOC 2009 and Program/General Chair of OFC 2015/ 2017. Dr. Winzer is a Bell Labs Fellow, a Fellow of IEEE and OSA, and a Member of the US National Academy of Engineering. Today, information and communication technology (ICT) systems make a valuable contribution to solving social problems, with techniques such as big data analysis able to enrich our daily life in many ways. Evolution in processing architecture puts faster performance in reach, but only if innovation in interface architecture among servers can be achieved to avoid the bottleneck of data communication. One solution is optical communication among the servers, and to share our thoughts on the topic we will examine the latest trends in silicon photonics as a way forwards, as well as looking ahead at the advantages of optical connection further into the future. Yuichi Nakamura received his B.E. degree in information engineering and M.E. degree in electrical engineering from the Tokyo Institute of Technology in 1986 and 1988, respectively. He received his PhD. from the Graduate School of Information, Production and Systems, Waseda University, in 2007. 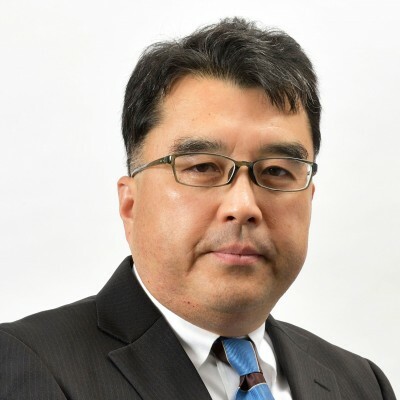 He joined NEC Corp. in 1988 and he is currently a general manager at System Platform Research Labs., NEC Corp. 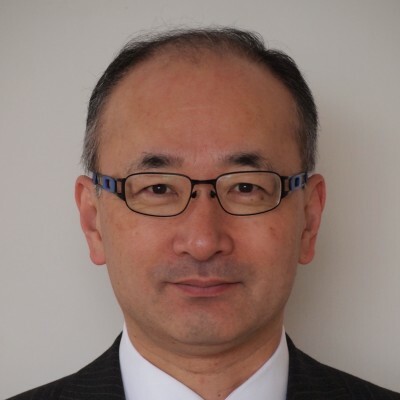 He is also a guest professor of National Institute of Informatics and chair of IEEE CAS Japan Chapter. He has more than 25 years of professional experience in electronic design automation, signal processing, network on chip, signal processing, and embedded software development. Will transceivers ever achieve super high volumes to allow scalability in cost and performance, and if so, what would be the common large volume platforms, and more specifically, what would be the transceiver format/form factor. Will these volumes be in the 50m or 100m or 200m level? What percentage of transceivers in a decade will contain PICs, and if so where would you expect to see a PIC being used in a transceiver. Will PICs in transceivers will be three chip, two chip, or one chip (OEIC) solutions? Lastly, will transceivers ever go away or evolve to new designs, especially with COBO and other non-pluggable innovations? Over the past decade, photonic integrated circuits have found a variety of new application areas, including many different types of sensing systems. Photonic integration has enabled new functionality, as well as reduction in size, weight and power (and eventually cost) of these new systems. In this talk, we will provide an overview of a variety of cutting edge PICs for sensing applications, with the focus on some of the recent technology that we have developed in this arena. Biochemical analytics and diagnostics are pushing forward into areas outside the laboratory and towards mobile and stand-alone field applications. Efficient diagnostic devices are easy to use, lightweight and provide reliable results. The focus of applied research is to validate the efficient selection of technologies and enable their smooth integration into small packages. Photonic integrated circuits have a key role to play in driving performance and contributing to a compact final device, and -- to highlight these elements -- this talk presents the transformation of a PIC into a biosensor. To allow automated biochemical process execution, the PIC is combined with a fluidic circuit. The system application targets explanatory exploration missions in terms of a wet chemical payload - for example, on board a Mars-rover. Nevertheless, the development procedure can also be transferred to other decentralized diagnostic applications on earth. 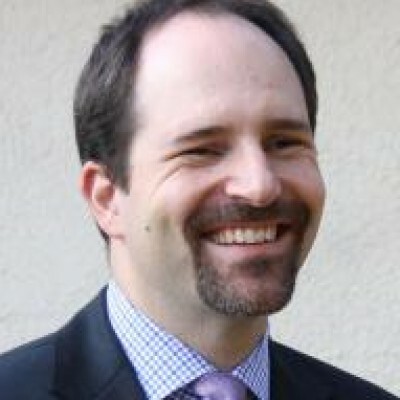 Sascha Geidel joined the Fraunhofer ENAS in 2011. Since this time he is working within the group “Fluidic Integration and System Technologies” on the integration of additional functionality into microfluidic systems, which leads to smart, autonomous devices with reduced fluidic interfaces and less complex control and readout instrumentation. In the last years, the topic of DNA analysis for species detection and antibiotic resistance detection got more and more in the focus of his applied research within European and national projects. Autonomous driving will be enabled by three types of sensors: radar, vision, and lidar (light detection and ranging). Lidar employs lasers, beam steering elements, and photodetectors, along with substantial electronic functions, to create 3D maps with angular resolution superior to radar and range resolution superior to cameras. Some analysts project lidar to grow to a US$80B market in 2035. Forward-looking lidar systems are expected to see 200 m and operate under challenging shock, vibration, and temperature conditions. In this talk, potential enabling technologies will be discussed, including Analog Devices’ liquid crystal electro-optic beam steering technology. 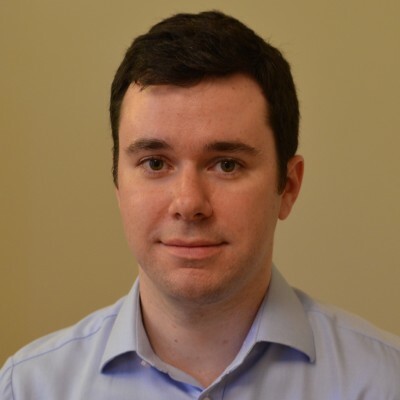 Andrew Sparks is the Technology Development Manager for Lidar at Analog Devices, Wilmington MA, USA. He oversees the maturation of advanced photonic technologies from R&D to high-volume products, which serve markets including automotive, industrial, and drones. Andrew received the S.B. and Ph.D. degrees from MIT. 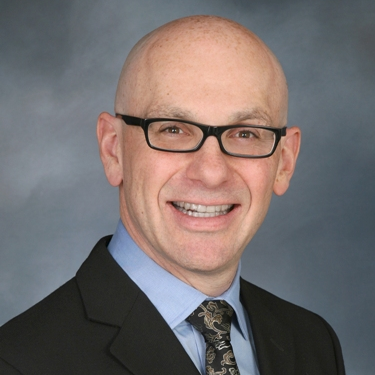 His career has focused on developing high-volume transducer technologies, including MEMS sensors at Analog Devices and light valves for transmissive displays at Qualcomm. Andrew and colleagues started the company’s lidar program in 2016 to respond to emerging customer demand for advanced driver assistance systems (ADAS) and autonomous vehicle technology. How can we implement ideas faster and what needs to be considered to keep the final device cost on track? While PIC technology is gradually maturing, designers need process design kits as the foundation of a tightly integrated yet flexible design flow. By matching standard PDK formats with a flexible Python based design flow, we can simultaneously deliver the required maturity and flexibility. Circuit level design and simulation, layout and device CAD are enabled from one PDK. We will demonstrate this using Luceda’s reference design flow, in both silicon and indium phosphide technologies. 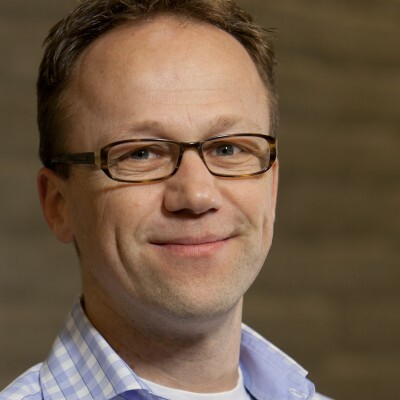 Pieter Dumon is co-founder and CTO of Luceda Photonics. 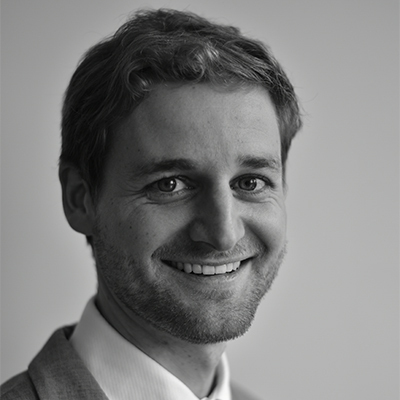 In 2007 Pieter obtained his PhD in electronics engineering from Ghent University, on silicon photonics wavelength filter devices. 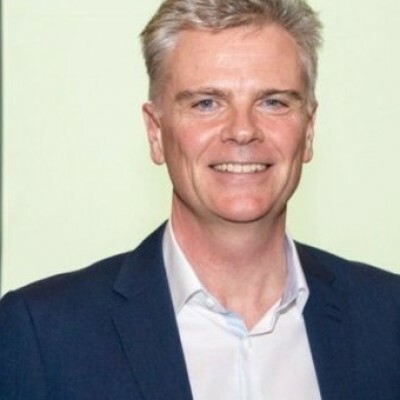 Subsequently, Pieter coordinated ePIXfab, the European silicon photonics platform, which he grew to a partnership offering MPW, packaging, training and design services. While working on the imec silicon photonics platform, he implemented many PIC designs and co-developed IPKISS. 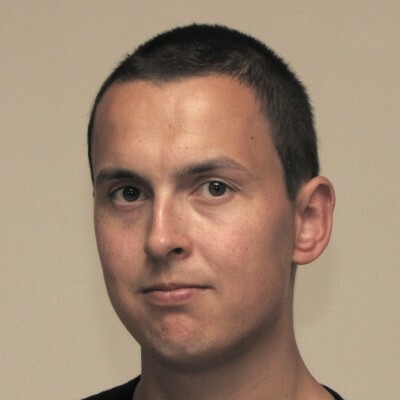 In 2014, he co-founded Luceda to support the growing user base of IPKISS on a commercial basis. Efficient and convenient solutions for electronic photonic design automation (EPDA) present fundamental prerequisites for the fast and innovative development of next generation integrated photonic and optoelectronic circuits. To highlight progress in this area, we will demonstrate how a layout-aware schematic-driven methodology enables the rapid prototyping of new design concepts, including parameter optimization of photonic and electronic parts, analysis of manufacturing tolerances, and comparison of technology and integration alternatives. In this talk Twan Korthorst will address Synopsys' commitment to provide the best in class design solution for manufacturing solution for Photonic Integrated Circuit design. Combining more than 30 years of Synopsys' electronic design automation (EDA) experience with over 25 years of photonic device and circuit simulation, layout and verification of the RSoft and PhoeniX Software teams, enables PIC design teams to have access to widely used, high-quality IC and photonic design solutions from a single provider with a single support channel. Synopsys goals is to help designers to meet their evolving photonic integrated circuit design requirements and support foundries to develop better yielding processes and devices. Driving the PIC Revolution! 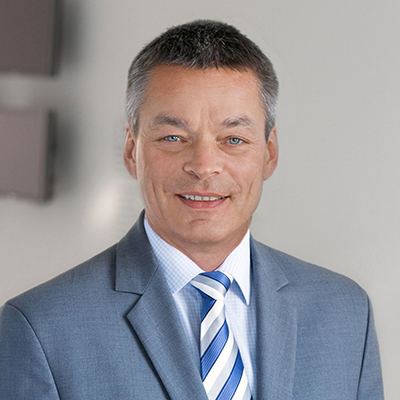 Twan Korthorst has been active for over 20 years in the field of chip design and fabrication for non-traditional semiconductor micro and nano technologies. During the final stage of his studies in Electrical Engineering at the University of Twente in the Netherlands, he co-founded the Microflown Team, developing the world's first particle velocity microphone. 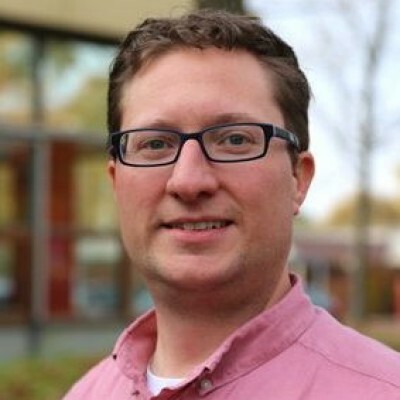 In 1996 he started as a Product Engineer at Twente Microproducts (TMP). After the acquisition of TMP by Kymata, a Scottish-based communications solutions provider using integrated photonics in 2000, he occupied the post of Director of Operations at Kymata Netherlands (later Alcatel Optronics Netherlands). 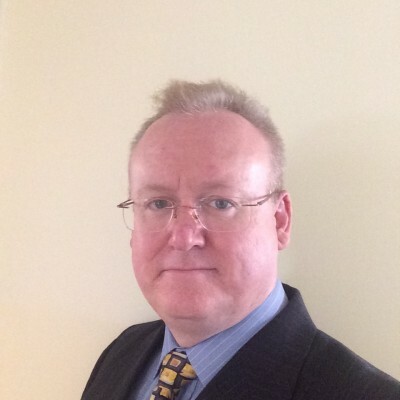 Having been a Manager of Operations at DEMCON Advanced Mechatronics, Twan joined PhoeniX Software in August 2007. 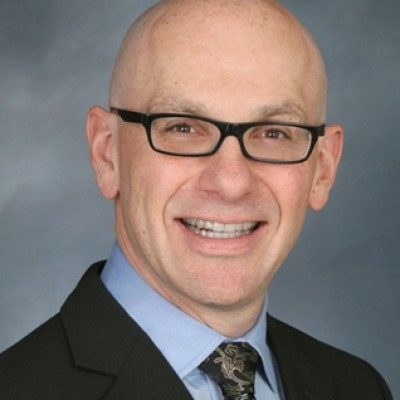 As CEO of the leading supplier of Photonic IC design solutions, he is instrumental in advocating photonic integration technologies and bringing parties together to accelerate the development of design flows and manufacturing supply chains. The emerging photonic foundry industry needs flexible design tools in order to expand support for commercial applications. Designers need tools that work both out of and outside the box to creatively and inexpensively explore new applications before committing to costly prototyping. The Synopsys design flow meets this need through tightly integrated concept development at both the circuit and component levels. Design starts at the schematic level using foundry-specific or custom PDK components to create PICs, proceeds to system-level simulation, and ultimately concludes with automated layout for manufacture. Custom PDK components are automatically generated using the industry’s widest range of available simulation methods for passive and active photonic devices. 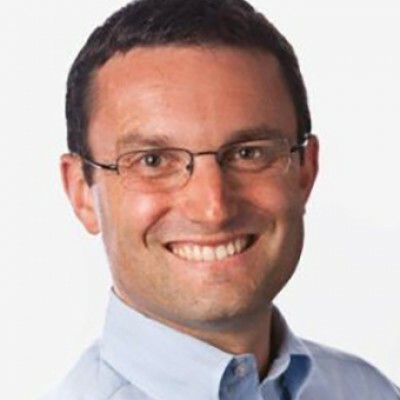 Dr. Robert Scarmozzino is currently a Synopsys Scientist, and directs the RSoft line of Photonics Design Automation (PDA) tools within Synopsys, Inc. Rob earned his BS, MS, and Ph.D. in Applied Physics from Columbia University in the mid-1980’s. He has authored or co-authored over 150 journal and conference papers. He co-founded RSoft Design Group, which was the leading manufacturer worldwide of PDA software prior to its acquisition by Synopsys. For several years, Mentor has been driving photonic design and has set the precedent for partnering with leading photonic venders to provide production level solutions. This presentation will cover a Mentor’s Open Access native Tanner tools along with its standard interface to Calibre for physical verification and lithography simulation. Additionally it will highlight Mentor’s existing photonic design solutions through key partnerships including Luceda Photonics, Lumerical and VPIphotonics. Finally, the audience will see new capabilities enabling photonic IC designers to scale their innovations from the research stage and into production. What are the latest tools and techniques that can be deployed in the fab? And what are the options when it comes to evaluating the output? The silicon nitride based waveguide technology (TriPleX™) of LioniX International enables new applications due to its unique properties. The ultra-low loss over a broad wavelength range (from 405-2350 nm), the ability to create spot size converters, the integration of low power phase shifters and the hybrid integration with other platforms. Supplying PIC based modules instead of PICs only moved the mature PIC platform from technology push to market pull. Fully assembled plug and play modules lower the access barrier for the development of new applications and the hybrid combination with for instance InP enables unique functionalities. In this presentation application examples of PIC based modules will be described in more detail and an outlook will be given to future technology developments. At previous PIC Int’l events I have presented an overview of automated photonics assembly and test equipment and the need to prepare for volume manufacturing. 2017 has been a year of rapid growth: ficonTEC had to concentrate on fulfilling existing customers requests, while also engaging in a number of R&D activities that will help in developing the next generation of manufacturing machines. A ‘carousel’ of different topics will cover advances in testing, some innovative micro-optics assembly techniques, the ‘recycling’ of well-proven industrial robotics for photonics assembly tasks, and the automation of optical wire bonding techniques. Harmonizing and integrating all of these developments with existing solutions will be made possible by our software platform. We are confronted with many challenges for economical, repetitive manufacturing of Silicon Photonics devices. One universal challenge that has only recently been addressed is for fast, nanoscale alignment of optical fibers, micro-optical elements and active and passive photonic devices in multi-channel, arrayed formats. Since these needs begin with probing at the wafer level and recur through final packaging, the benefits of higher-throughput alignment are profound for cost and yield. Legacy alignment technologies are problematic for the multiple, interacting inputs and outputs commonly encountered in today’s SiP devices. With these older technologies, time-consuming, costly, repetitive alignment loops were required to achieve global alignment, leading to unacceptable production economics as quantities scale. These challenges have led to the broad adoption of a novel, parallel alignment technology with native multi-channel and multi-element simultaneous-optimization capabilities which we discuss in depth. It can perform global optimization across the inputs and outputs of complex photonic and optoelectronic devices, in multiple degrees of freedom, in one rapid step. Its high throughput addresses multiple emerging process pain-points from wafer test to packaging and chip test. This new alignment technology has by now been integrated into wafer probers and volume packaging and chip-test systems. It is facilitating testing and packaging operations with high throughput and yield. Throughput improvements have exceeded two orders of magnitude versus traditional approaches. One of the cornerstones of high throughput CMOS processing is inline monitoring and waferscale test functionality. In addition to validating device performance and generating statistical data, testing at early stages in fabrication provides a critical feedback signal for the health of the manufacturing line and enables problems to be diagnosed well before the expensive back-end-of-line and packaging processes have been completed. Combined electrical and optical inline and waferscale testing can provide yield metrics, lookup tables, and built-in self-test in an automated fashion, reducing cost by ensuring that further fabrication and packaging only proceeds on known-good-devices. 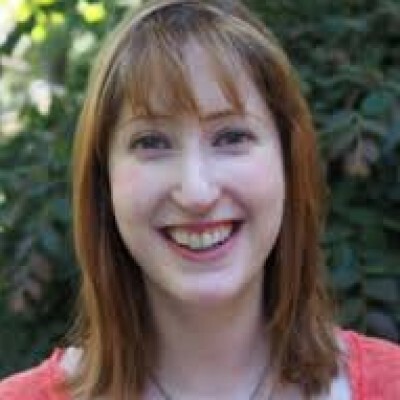 Dr. Jessie Rosenberg is a Research Staff Member at the IBM TJ Watson Research Center, where she focuses on developing photonics technology integrated with CMOS electronics for optical communication applications. She received an A.B. 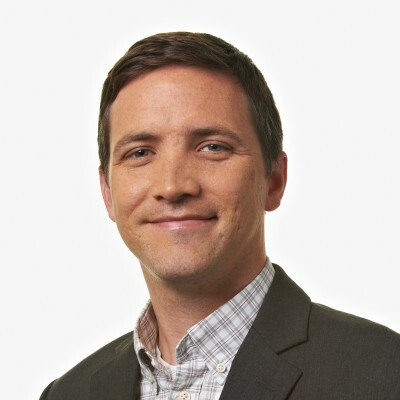 degree in Physics from Bryn Mawr College in 2004, a Ph.D. degree in Applied Physics from the California Institute of Technology in 2010, and has been at IBM since 2010. She was named to the Forbes 30 Under 30 list of innovators in science in 2011, served as a Program Chair for the Conference on Lasers and Electro-Optics in 2016, and is currently an Associate Editor for the journal Optics Express. Teem Photonics ion-exchange technology (ioNext) on glass brings unique features for innovative photonic integrated circuits. ioNext enables flexible 2.5D waveguide engineering (mode conversion, waveguide depth transition) while keeping a robust and collective photomasking-based approach. ioNext cicuits benefit from the intrinsic glass transparency to provide ultra low propagation loss from 400 to 2000 nm. Teem Photonics platform offers solutions from design to packaging, from prototyping to larger series manufacturing with a short turnaround time. This presentation will provide an overview of the technology and its applications, from silicon chip-to-fibre interfacing to innovative sensors. 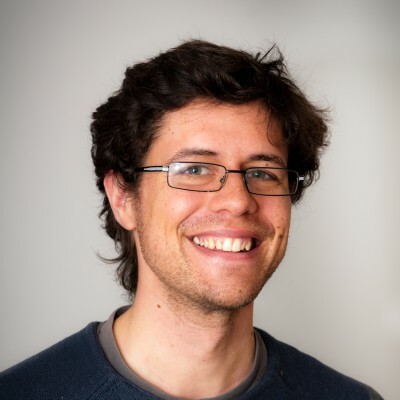 Florent Gardillou studied Physics and Engineering at the University of Toulouse and Grenoble Institute of Technology (FR) where he received a PhD degree in 2005 in Photonics and Integrated Optics. 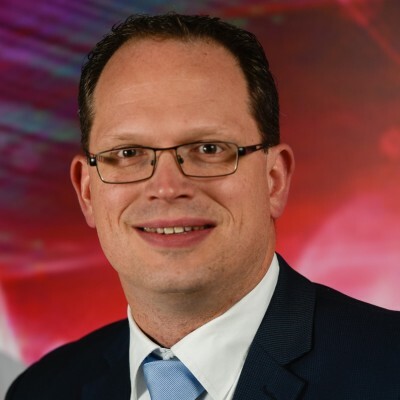 He joined the Applied Physics Laboratory of prof. Salathé at EPFL (CH) in 2005 to develop waveguide lasers based on high-efficiency KYW thin-film materials. SInce 2006, he is with Teem Photonics. He was first involved in the R&D group to advance the ioNext platform development. He was also a project leader for many national and european projects. He is now the Sales Manager for the Integrated Optics activity of Teem Photonics and works for New Business Development. With the demand for silicon photonics on the rise, there is a clear need for flexible and affordable fabrication capabilities, suitable for device prototyping, using processing techniques that are compatible with the major industrial foundries. CORNERSTONE, headed up by Professor Graham Reed at the University of Southampton, offers such a capability via a multi-project-wafer (MPW) service, with up to 6 passive calls and 2 active calls per year on various silicon photonics platforms. In this talk, we outline our fabrication capabilities including our recently installed deep-UV Scanner, present our early data, and discuss upcoming MPW calls. 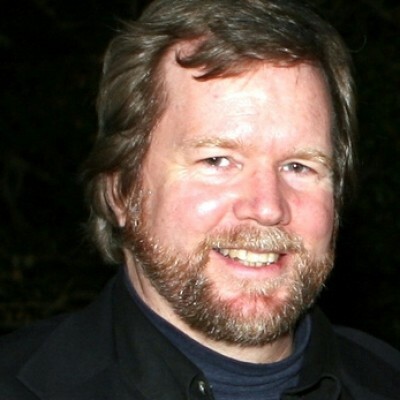 Graham Reed is Professor of Silicon Photonics at the University of Southampton, UK. In 2012, he and his group joined Southampton from the University of Surrey, where he was Head of Electronic Engineering from 2006 to 2012. Reed is a pioneer of Silicon Photonics. He established the Silicon Photonics Research Group in 1989, which has provided a series of world leading results since its inception, and is particularly well known silicon optical modulator work. Reed has served on and chaired numerous international conference committees, and is currently a member of 6. He has published over 350 papers on Silicon Photonics, and in 2013 was the recipient of the IET Crompton Medal for Achievement in Energy, and in 2014 he was awarded a Royal Society Wolfson Merit Award. At PIC International 2018, we'll be discussing planar lightwave circuits and free space coupling techniques, highlighting functions for various commercial transceiver configurations targeting data centre and telecoms applications. 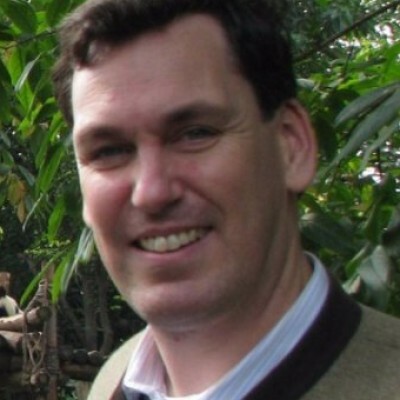 Henk Bulthuis is Team leader of the optics design group of Kaiam Europe, formerly Gemfire Europe, Avanex, Alcatel Optronics and Kymata. 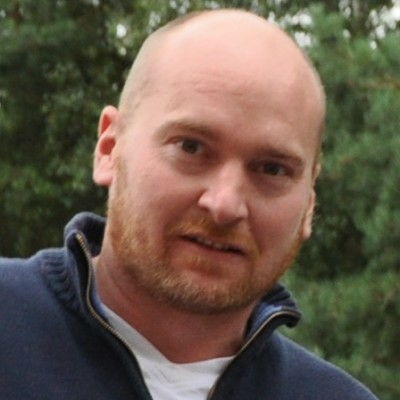 He co-founded BBV software BV and BBV design BV which were acquired by Kymata in 2000. Close to 800 mask reticles and 2000 of his PLC/PIC designs were simulated, layed out fabricated and tested. Most of the designs were made in glass or silicon technologies. Photonic Integration is key to deal with the challenges in optical solutions for data- and telecom, in terms of cost, performance and scalability. InP has proven itself as the material of choice for lasers and we show that Photonic Integration on InP is a solution to tackle all these. The benefits for InP are clear: full monolithic integration of lasers, amplifiers as well as modulators and passives enables a versatile, flexible and reliable platform to build PICs for the current needs. The improved manufacturing capabilities a.o. using high resolution ArF lithography clearly indicate the path to high volume manufacturing at low cost with improved performance. Panel Session Has silicon photonics got the required scalability to displace InP? Has silicon photonics got the required scalability to displace InP? Silicon photonics has attracted the interest of many in large corporations, SMEs, and academics as a potential replacement to the incumbent PIC technology InP. SiP offers natural electronics and photonics integration but can’t source laser light unless custom techniques of packaging, bonding etc are utilized with InP based sources. Also, given that SiP may well be on 200mm and 300mm wafers, it is also not clear if the volume requirements are at a level to attract serious attention in large scale fabs. Given these conditions, the question remains to ask if SiP can be truly scalable towards $1/Gbps at 400Gbps data rates and above (for any distance)? The explosive growth of integrated photonics both in datacenters, telecom as well as non-communications applications, especially from a market standpoint are opening new doors for scalable PIC platforms. Polymer based PICs offer scalability with increased data-rates as well as lower cost structures and provide an excellent vehicle to address the 'purple brick walls’ (cost/performance) that have appeared in photonics roadmaps. Most of today’s photonic ICs are designed for a specific purpose and targeted at a specific application, in that they resemble an electronic application-specific integrated circuit (ASIC). But with PIC technologies and design processes now starting to support larger-scale integration, this opens the door to more generic photonics ICs that can be reconfigured or programmed for diverse applications, resembling electronic FPGAs. Such circuits can implement programmable wavelength filters for WDM or microwave photonics, tunable delay lines, multi-format transceivers or optical information processors. In our talk, we will discuss the current state of this new field in PICs, and the future challenges and applications. 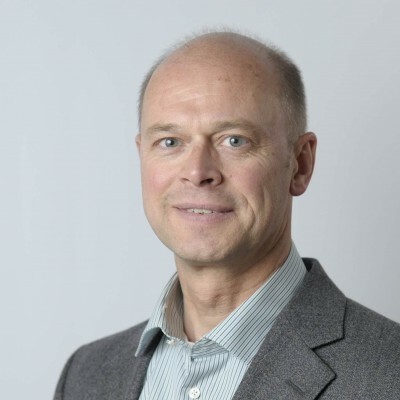 Wim Bogaerts is professor in Silicon Photonics at Ghent University and IMEC. Since his PhD research, he has been one of the pioneers in this field, being the first to manufacture silicon photonic circuits in a CMOS pilot line. 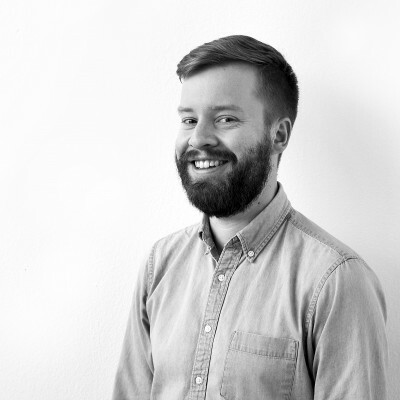 In 2014, Wim co-founded Luceda Photonics to bring the design tools he developed to the market. Today, his research focuses on the challenges for large-scale photonic integration, and the potential of programmable photonic ICs. He holds an ERC consolidator grant. As electrical I/O is approaching fundamental bandwidth scaling limits, it is necessary to integrate optical devices and systems more deeply with electronics. Once optical devices are monolithically integrated on the same die as CMOS transistors, the optical devices must follow the same design methodology as high-volume microelectronics. This talk will present a design flow that was used to demonstrate monolithic SoC’s such as a dual-core CPU with photonic I/O, a low-latency network protocol, and a 400G transmitter with >1Tbps/mm2 bandwidth density and 0.83 pJ/bit energy efficiency. 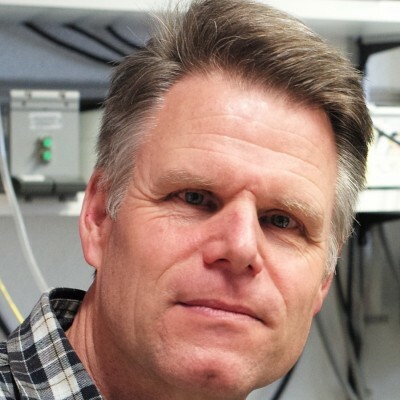 Mark is the President, Chief Scientist, and Co-Founder of Ayar Labs. Prior to founding Ayar Labs, he led the group that designed the optics in the world’s first processor to communicate using light. He holds a PhD from University of Colorado. Silicon photonics owes its success to the versatile and high-quality silicon-on-insulator (SOI) wafers. However, the SOI technology has several limitations for some important applications such as integrated nonlinear optics and mid-infrared photonics. We have been developing several novel heterogeneous integrated photonic platforms and have demonstrated various high-performance devices and circuits on them. Example heterogeneous platforms developed for the first time by our team at CREOL are lithium niobate on silicon, silicon on lithium niobate, silicon on nitride, and all-silicon membranes. These novel approaches and associated fabrication methods will be presented together with a discussion on the performance of fabricated devices and circuits. Professor Sasan Fathpour joined the College of Optics and Photonics faculty in 2008. His current research interests include heterogeneous integrated photonics, nonlinear integrated optics, silicon photonics, and nonconventional optical waveguide platforms for mid-wave infrared and other applications. He has received several research and teaching incentive awards at UCF. He is also recipient of UCF Reach for the Stars Award (2015), the ONR Young Investigator Award (2013), the NSF CAREER Award (2012) and UCLA Chancellor’s Award for Postdoctoral Research (2007). 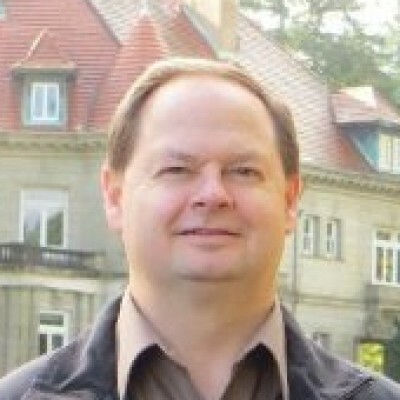 He is a Fellow of OSA, the Optical Society, and a Senior Member of SPIE and IEEE. 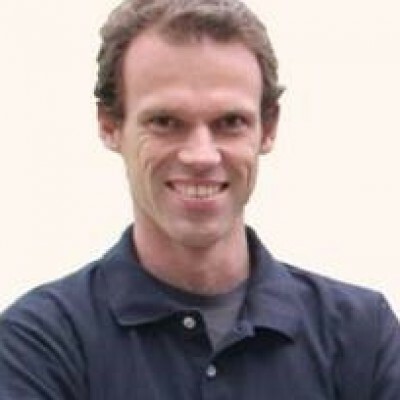 He is the co-editor of a book entitled "Silicon Photonics for Telecommunications and Biomedicine" published by CRC Press in 2012, and a coauthor of about 150 journal and conference papers, book chapters and patents. 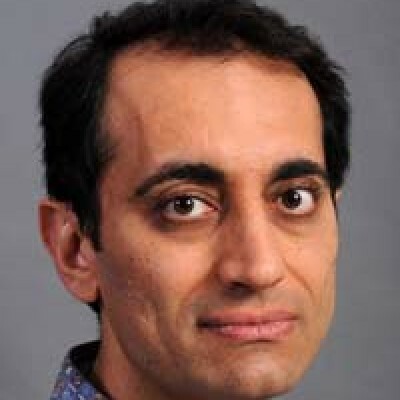 Professor Fathpour received the Ph.D. degree in Electrical Engineering from the University of Michigan, Ann Arbor in 2005. He then joined the Electrical Engineering Department of UCLA as a postdoctoral fellow and was promoted to a Visiting Assistant Professor in 2007. Prior to joining CREOL, he was a Senior Researcher at Ostendo Technologies. Efficient data transfer between IOs, memories and cores is a key element of high-performance computing. The trend for massively parallel architectures increases the communication needs, at the cost of increasing latency and power consumption. To overcome this, we are investigating the potential of optical communication on large silicon interposers, to stack and connect computing and memory chiplets together. In this talk, we present recent developments at CEA-Leti considering the architectural, design and fabrication aspects of optical interposers, from digital and high-speed analog elements, to the optical devices, in view of the power and thermal constraints. In addition, we share our insight on the integration of these building blocks in a complete electro-optical computing module. Yvain Thonnart graduated from the Ecole Polytechnique, France, in 2003, and received the Engineering Diploma from Telecom ParisTech, France, in 2005, specializing in electrical engineering. 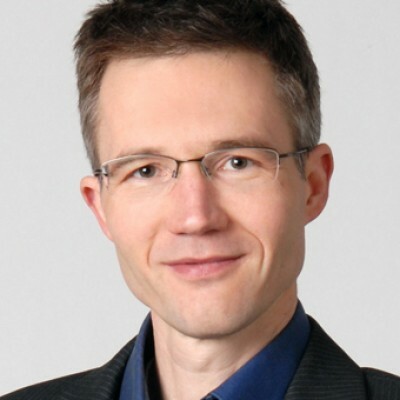 Since 2005, he has been a researcher with CEA-LETI, Grenoble, France, where he has been appointed expert on communications and synchronization in Systems on Chip. His research interests include asynchronous logic, network-on-chip architectures, physical implementation of energy-efficient SoCs. He is currently leading a project on silicon photonics interposers for optical communications in massively parallel Systems on Chip. Lasers on silicon substrate are expected to fabricate large-scale PICs with low cost because they can be heterogeneously integrated with low-cost Si photonics devices. In addition to the cost issue, reducing the power consumption of laser is quite important because it limits the integration density of PIC. For this purpose, we have developed membrane lasers on SiO2/Si substrate, in which large optical confinement factor enables us to enhance the modulation efficiency of directly modulated laser. We employ epitaxial regrowth to fabricate buried heterostructure on directly bonded III-V layers on SiO2/Si substrate, which allows us to employ large-scale Si substrate for fabricating lasers. 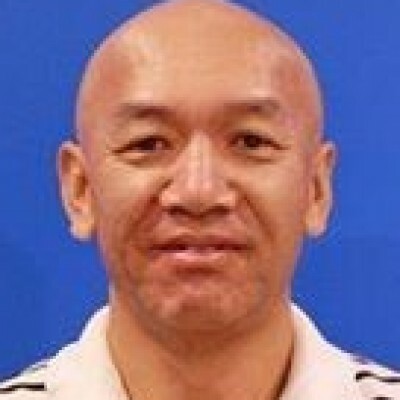 Shinji Matsuo received Ph.D. degree from the Tokyo Institute of Technology, Japan. He has been researching high-speed directly modulated lasers, tunable lasers and photonic functional devices. He is currently Senior Distinguished Researcher in NTT Device Technology Laboratories. He received the Opto-Electronic Integration Technology Award (Izuo Hayashi Award) in 2013.